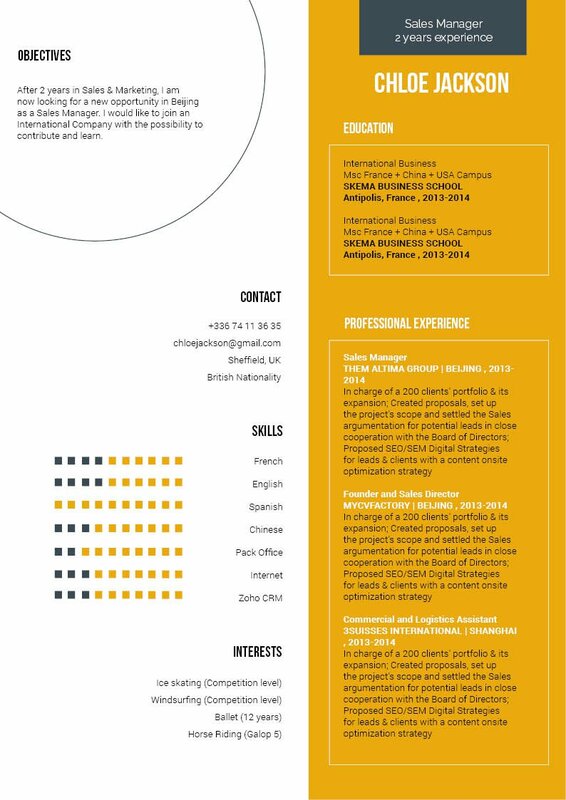 The fonts are very original, which make this resume perfect for crative profiles. The lay out is really nice! 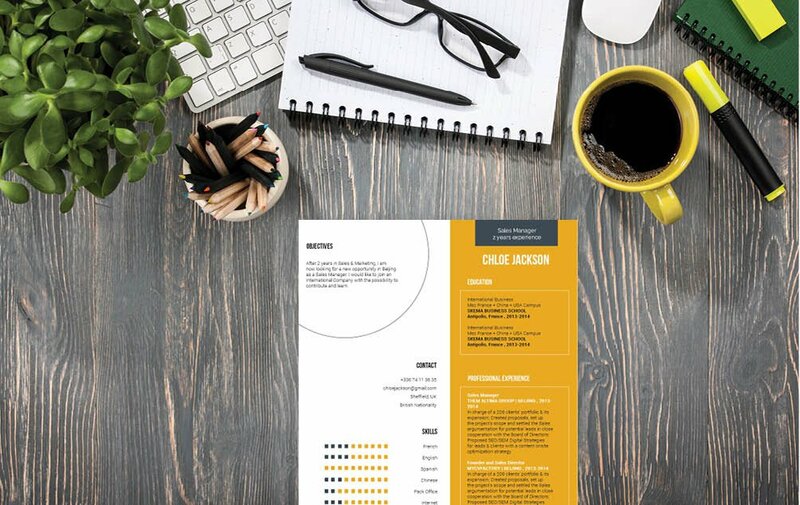 CV template to download "Spotless"
The simple, yet functional design of the Spotless resume does the a great job in showcasing all of qualifications ! Your professional experience and skills is presented in way that can be easily understood by your potential employer—this makes your resume a sure fit for being the head in the office. 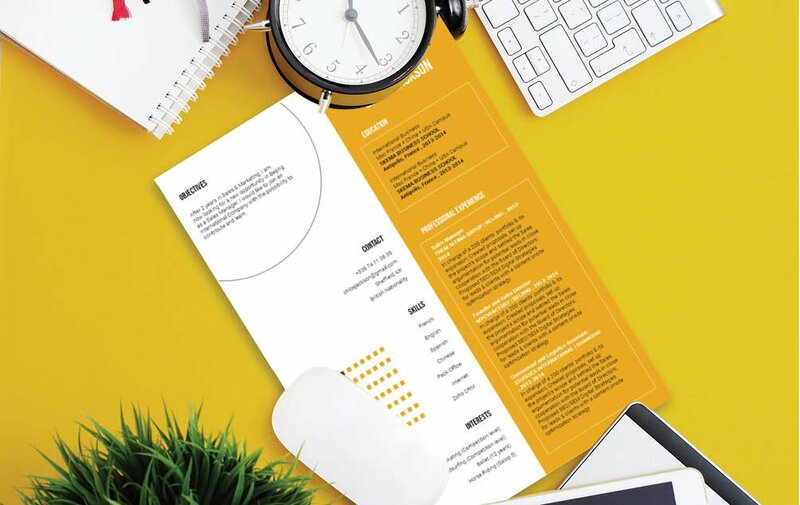 Furthermore, this simple CV template lists down your skills and interests effectively, which is sure to give compliment all the other key information of your CV ! 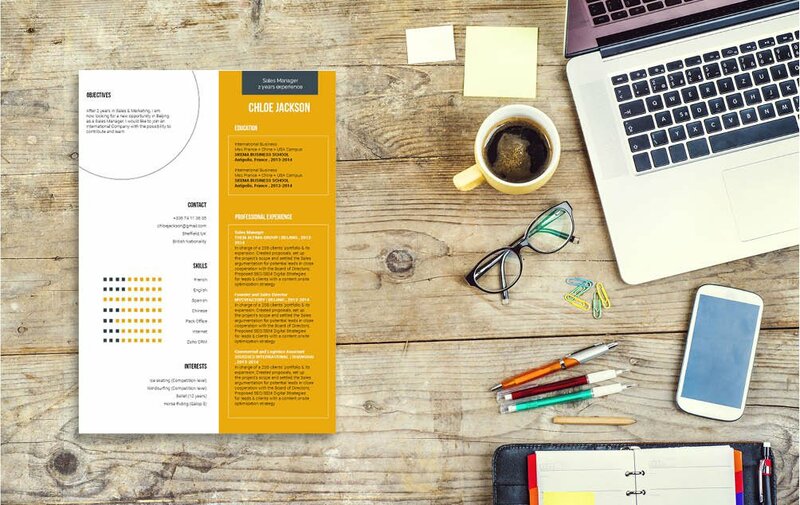 To create a resume that can effectively grab an employer's attention, give it a clear and comprehensive format. A resume that is straight forward without any fuss can make the difference between getting your dream job or not. It is essential that you make all the key phrases and/or parts of your resume stand out. A typical resume doesn't get fully read the first time around--it's usually scanned for about 10-30 seconds. In that short time frame the reader must already pick up the important bits of information you want to convey in your resume. Make each section of your resume short, but dense with information. And break down complex parts into smaller, bit-size pieces that are easier to understand.